In 18 November, Director of world famous company “Kaspersky Lab” Eugene Kaspersky visited Armenian Genocide Museum-Institute. Renowned specialist of cyber security visited Tsitsernakaberd Memorial Complex and laid flowers at the eternal fire honoring the memory of the innocent martyrs. 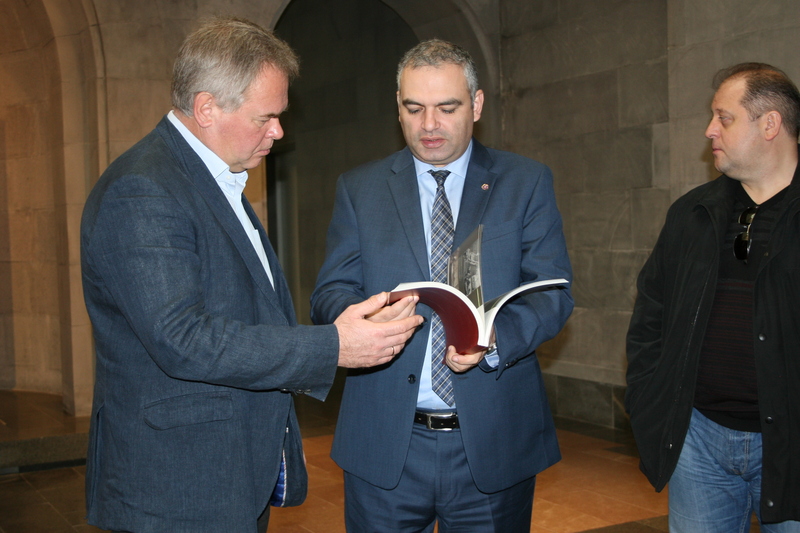 Eugene Kaspersky also visited the Genocide Museum and got acquainted with the presented exhibition. Kaspersky left a note in the book of honorable guests, after which he planted a fir in the Memory Alley. At the end of the visit Director of AGMI Hayk Demoyan handed some of AGMI publications to Eugene Kaspersky.